STEP 11: One of the things that I highly encourage men to do is to get basic genetic testing done if they can possibly afford it. This term for this, which I will explain a bit more below, is "Medical SNP Testing." 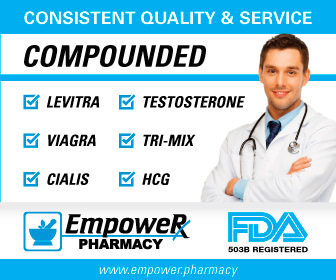 The reason this is an important subject is because recently there have been a few "hard cases" on the Peak Testosterone Forum where men have had nasty symptoms that just did not make sense, were outside of the norm and could not be solved by some of the standard treatments that usually work well, such as HRT (Testosterone Therapy). I have included an interview with one such man below, who found that he had the most severe from of the MTHFR mutation. As he discusses below, normal treatments, i.e. standard supplements, could actually kill him. That's right - if you have some kind of genetic abnormality, you cannot necessarily play by the same rules as everyone else or you could get yourself hurt. Unfortunately, physicians are generally not doing genetic screening of any sort. Working with DNA requires a lot of extra work, some extra expense and everyone is currently avoiding the subject. But in my opinion, you should not avoid it and should investigate your DNA. So what is an SNP? SNP stands for "single-nucleotide polymorphism." If you'll recall your high school biology, DNA is composed of nucleotides (A, T, C or G) and some mutations of just one of these can create issues. 23andMe is the market mover in this area now and for $99 (at the time of writing) you can get your DNA read. It's as simple as mailing back a saliva sample. What many guys are doing once they recieve their data is running it through Promethease Reports. The cost is only $5 and it takes only about 15 minutes to run. I believe you can import it from 23andMe as an input or directly from your computer. The future is here, eh? NOTE: We now have a Genetics and Genomics Board within the Forum where you can ask questions. Q. Can you describe some of your major health symptoms and what you have been struggling with? A. Hypertension and Insulin Resistance have probably been the most troublesome symptoms. Others issues are Hypothyroidism, low SHBG, very high LDL and very high HDL. My Ferritin levels have also been elevated for many months, if not years. Q. How and why did you order the tests for the MTHFR A1298C Mutation? Can you mention what lab(s) you used and the cost involved? A. My doctor is one of the good ones. Instead of guessing he digs deep to find answers. I had never heard of MTHFR genes until I got my results back and he explained them. The lab he uses is Health Diagnostic Laboratory Inc as they accept all health insurance payments. I paid nothing out of pocket for the blood work as I had health insurance. Q. What is the MTHFR A1298C Mutation? Do you have a mild or severe form? A. From my understanding, the MTHFR A1298C Mutation is a genetic mutation. I am homozygous for this mutation, which means that both of my parents also have this mutated gene. While I have the severe form of this particular mutated gene, my understanding is that the MTHFR C677T gene is much worse in many cases. I guess I can feel lucky that I don't have that one. Having the MTHFR A1298C gene can result in diminishing production of L-methylfolate, the active form of folate. This can lead to decreased production of neurotransmitters, reduced conversion of homocysteine to methionine, and reduced SAMe concentrations. CNS neurochemical deficiency, along with buildup of homocysteine and decrease availability of methyl groups of SAMe, may increase an individuals risk for developing cardiovascular disease. It can also cause certain psychological disorders and/or memory and attention deficits. Q. How many of your symptoms do you think have to do with the MTHFR A1298C Mutation? A. I've always had attention deficits. I've always been kind of a depressed individual who can't seem to handle stress very well at all. I am currently at risk for cardiovascular disease and am trying very hard to fix the damage that has already been done. Q. What is the solution for men with this genetic issue from what you understand and what has your doctor done about it? A. Best thing to do is get tested for it. If one were to find that they do have the mutated gene, I'd immediately discontinue any folic acid supplementation. If you still want to take a multiple vitamin, there are a few great supplement companies that offer supplements that are made specifically for those with MTHFR. My doctor is responsible for getting me tested for it and recommending the proper supplements to aid me in my recovery. Q. I know that you are taking a methylated supplement? Why methylated and what would happen if you just took the regular form of the supplement? A. My understanding is that those with the MTHFR gene cannot process Folic Acid well. If you are Homozygous, then you can't process Folid Acid at all. This means that supplemental Folic Acid will float around in your system causing problems rather than helping anything. Taking a Methylated supplement means that your body can and will use it. A deficiency in Folate can be problematic in various ways so best supplement with something your body can actually use. Q. Would you recommend genetic testing for all men? A. Absolutely. I recommend it for all men AND women, especially if you find that you have close relatives that have these mutated genes. Q. Any additional advice for the guys out there? A. Take control of your health. Find doctors that know about MTHFR and how to treat it. After studying extensively, it's important for me to have a doctor that I can be on the same page with in regard to my health. Outside of that...be positive. Know that you can overcome any weakness that you might have from this genetic issue. Don't look at it as a permanent crutch, look at it as something you can and will overcome. With the right attitude and knowledge, I don't think it get in the way of what you want and need to accomplish in life.